What’s the first kind of pup that comes to mind when you think of firefighting? Dalmatian, of course! But Molly the Fire Safety Dog doesn’t leave her duties in the firehouse. Molly and her human companion, Dayna, have taken Molly’s skills into schools all across the world, educating kids and parents about the essentials of fire safety. Molly, a four-year-old Dalmatian, is a patient, playful, and loving Superpower Dog with a host of talents. When she’s not on the job, she’s hard at play! As a Trick Dog Champion, she knows over 82 different tricks, including a knack for music. ​She loves painting, playing Frisbee, hanging out at the fire station, and is a HUGE fan of the TV show, Chicago Fire. She has her paws crossed that she can be on the show someday!​ Whereas firefighting heroes are saving lives in the heat of rescue operations, Molly is saving lives through prevention. Hence Molly’s superpower: Keeping children and families safe through preventative knowledge! As Dayna’s best friend and teammate in their crusade for safety, Molly has captured the hearts and attention of kids about a topic that otherwise could slip through the cracks. Dayna has witnessed time and time again how kids engage with Molly, absorbing information and lessons that no human could convey so well alone. That’s why Molly and Dayna make one super-powered duo! Molly the Fire Safety Dog in her firefighting glory! Sign up for the latest news about Superpower Dogs and how you can help to make the world a better place for dogs. Pawsome! Confirm your subscription in your inbox now! 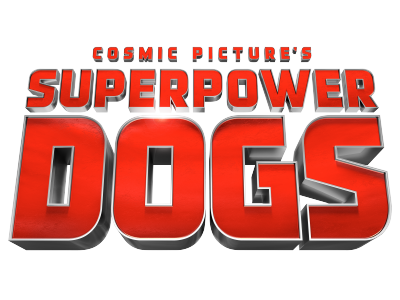 Never miss another update from Superpower Dogs.